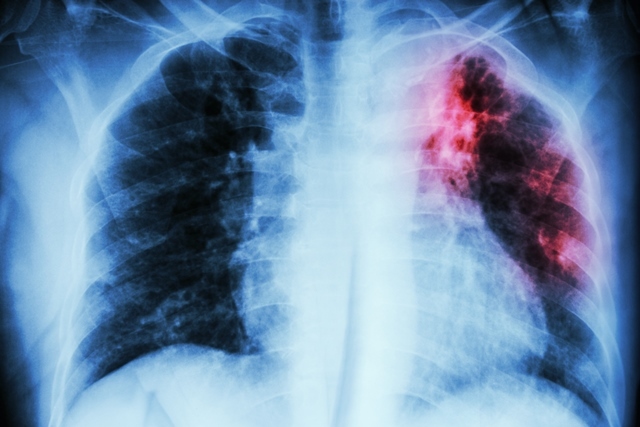 Immunomedics has expanded its clinical collaboration with AstraZeneca and MedImmune for the development of Imfinzi (durvalumab) and sacituzumab govitecan combination therapy to include second-line metastatic non-small cell lung cancer (NSCLC). “Sacituzumab govitecan has shown very encouraging single-agent activity in NSCLC patients who have failed multiple lines of therapy,” said Robert Iannone, Head of Research & Development and Chief Medical Officer of Immunomedics. Immune checkpoint inhibitors (CPI) have drastically changed the treatment landscape in NSCLC and significantly improved patient outcomes. However, there is still a substantial proportion of patients who don’t benefit from CPIs. As CPIs increasingly move into front-line therapy, either alone or in combination with chemotherapy, treatment options for second-line and beyond are limited to single agent chemotherapies, which have only very modest activity. Thus, there is a high unmet need in NSCLC for patients who don’t respond or have progressed after treatment with CPIs. Hesham Abdullah, Head of Immuno-Oncology, Global Medicines Development, AstraZeneca, said: “The efficacy, safety and tolerability of durvalumab in NSCLC and the clinical activity of sacituzumab govitecan monotherapy in late-line NSCLC, provide promising rationale for the development of the durvalumab and sacituzumab govitecan combination in the metastatic setting. Sacituzumab govitecan as monotherapy has produced an overall response rate (ORR) of 19% in 47 patients with pre-treated metastatic NSCLC with a duration of response of 6.0 months. In a subgroup of patients (14 of 47 patients) who had previously been treated with CPIs as their last line of therapy, ORR was 14% (2/14). This open-label, multi-centre Phase 1/2 study will enrol two cohorts of patients, one in CPI primary refractory, and one in acquired resistance to CPI.